Tired of Government Gone Wild? Here’s What We Can Do About It! Our Founders put a special a sort of “emergency cord” right into Article V of our Constitution as a last resort to rein in our wayward federal government drunk on its own power. That article gives states the power to call a convention for the purpose of proposing amendments to the Constitution. Three states have already successfully passed legislation calling for a Convention of the States, and right now it’s Virginia’s turn. We need every patriot to step up and remind lawmakers in the Old Dominion why we support the Convention of States. By calling a Convention of the States, average citizens can stop the federal spending spree, power grabs, and other abuses by proposing amendments to rein in the federal government. After the states draft, debate, and vote upon these proposed amendments, they will then be sent to all 50 states for ratification, and three-quarters of the states must agree for any of the proposed amendments to be ratified. The beauty of this process is that neither the President nor Congress has the authority to stop it. It is truly in the hands of We the People. This idea is really the last recourse of the citizens to rein in DC and restore our country to a Constitutionally limited federal government. Please, folks, let’s not be complacent about this! This is a time for all patriots to take a stand! PS – You may have heard about this idea of the Convention of the States from my friend Mark Levin’s best-selling book “The Liberty Amendments.” If you haven’t read Mark’s book, I encourage you to do so! To learn more about the Convention of States, check out ConventionofStates.com, where you can send a petition to your state legislator and sign up to be a volunteer. Gov. 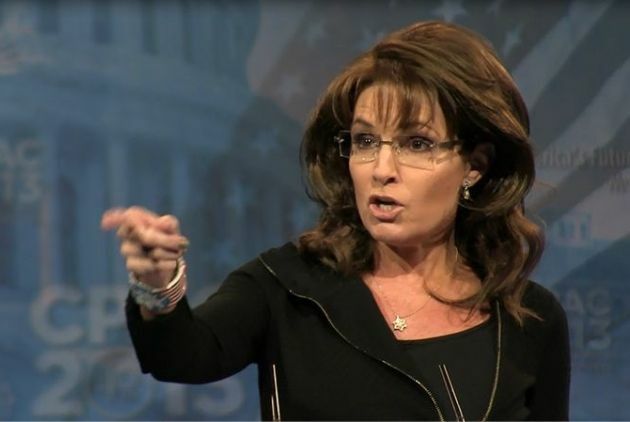 Palin calls Obama out on Bergdahl: You lie! Yet again Mr. President, you lie. You boasted that your exchange of an obvious traitor for a group of known terrorists hell bent on America’s destruction is because “we leave no man behind.” You lie. You left an entire nation behind in the Rose Garden while celebrating a military deserter whose treasonous act you smiled at for all the world to see. You hold the proverbial hand of a traitor, but don’t have the character to do the same for deserving souls who consistently give their all to protect America. Have you spoken up for the likes of American sniper Chris Kyle or so many other fallen heroes? No. You have no guts for that. As Bergdahl’s father spoke his scripted Arabic greeting while Barack Obama nodded approvingly, I’ve never been more ashamed of a President’s action than this arrogant, destructive exchange of another stone in our foundation of freedom – for evil men who hate our freedom. Our once solid rock upon which we were built turns to sand with astounding anti-American acts praised by Leftists. We will – we MUST – survive this President, but God help us survive the people who still support this.